The Synodal School of Liturgical Music was founded in 1992 as the Summer School of Liturgical Music at Holy Trinity Monastery, with the blessing of the Abbot of the Monastery, Metropolitan Laurus (+). 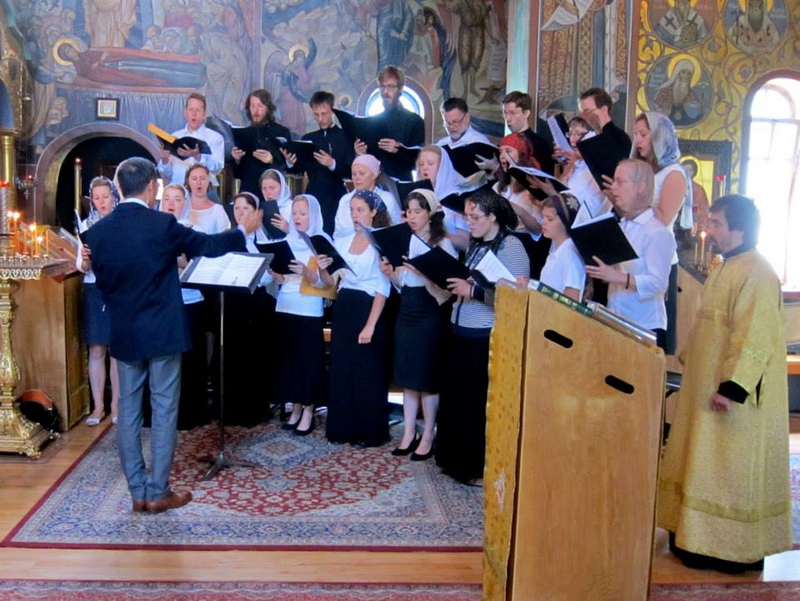 SSLM was originally established as part of a broader effort by the Synodal Liturgical Music Commission of the Russian Orthodox Church Outside of Russia to raise the quality of church singing within ROCOR parishes across the Russian Diaspora. Almost immediately, the School expanded its mandate to welcome students from across all Orthodox jurisdictions, from all corners of the globe, as well as non-Orthodox students who wish to acquaint themselves with the unique tradition of Russian Orthodox liturgical singing. The two week summer sessions take place in the spiritually enlightening setting of the Holy Trinity Monastery in Jordanville, NY, where the students have the opportunity to attend services and to interact with the monastic brotherhood, whose support for the School has historically been deeply appreciated. A few years after its founding, the School became administratively part of Holy Trinity Seminary, a productive relationship that lasted until August 1, 2018, when SSLM’s status was elevated to that of a Synodal institution in recognition of the important work the School carries out for the glory of the Church. SSLM continues to enjoy a mutually beneficial partnership with the Seminary. Classes take place in the Seminary’s classrooms, and some of our male students are housed in the Seminary dormitory; seminarians are welcome to study at SSLM at a steeply discounted rate. In order not to disturb the Monastery brotherhood, the School runs its own dining facilities, where students enjoy three full meals a day, with Lenten meals served on the relevant days of the Julian Calendar. Coffee, tea and snacks are available throughout the school day. The dining hall also has a computer station for student use, and is connected to wifi that the students may access. The SSLM administrative office is located in the same building as the dining hall, and the School staff is on-site from 7 am to late at night to address student and faculty needs.